Home » News » Printwear & Promotion Live! 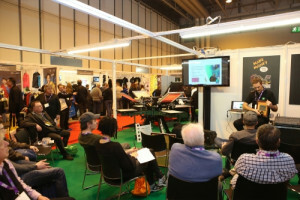 The feature areas for Printwear and Promotion Live! 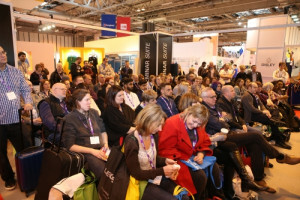 will include the Fashion Show, the new seminar suites The Knowledge Centre and The Decoration Advice Suite, the Screen Print workshop and the Bag & Headwear Decoration Advice stand. 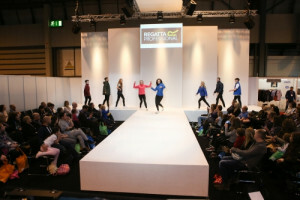 The Fashion Show gives visitors the opportunity to see the latest garments in the market on stage. It will run three times a day with one extra show on Sunday 21 January. This year, ten brands will take to the catwalk. Featured brands include Regatta Originals, Russell, Finden+Hales, American Apparel, United Brands of Scandinavia, Just Hoods by AWDis, Just Cool by AWDis, Just Ts & Polos by AWDis, Écologie by AWDis, Regatta Activewear, Anvil, SG, Grahame Gardner/GFORCE Sportswear, Fruit of the Loom, Orn International, SK (Skinnifit), Novoco Activewear, Nakedshirt and Regatta Standout. 2018 will see the introduction of two brand new seminar suites. The Knowledge Centre will focus on how to develop a garment decoration business, including advice on how to start up a new business in the sector. Topics will also cover suggestions on the kind of questions that should be asked of suppliers and software that can simplify the day to day production workflow. In The Decoration Advice Suite, visitors can discover the best ways to maximise profit when it comes to decorating garments. Returning for 2018, the Screen Print workshop offers attendees a wide range of topics designed to provide advice and guidance to enhance the running of their own print shops. The informative sessions will be of interest to both novices and experts alike. The Workshop will feature presentations on the intricacies of screen printing and the benefits it can bring to businesses. An array of decorated styles showcasing a variety of decoration techniques will this year adorn the Bag & Headwear Decoration Advice stand. With Beechfield headwear, accessories and backpacks it is demonstrated how to promote individual brands and convey your customers’ message via methods such as screen printing, embroidery and transfer printing.